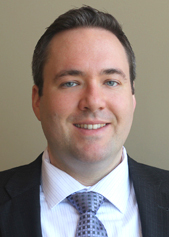 Keith R. Harden is an associate in the Capital Markets Group. His practice is concentrated in the area of structured finance, with an emphasis on representing issuers, underwriters and mortgage loan sellers in public and private commercial mortgage-backed securitization transactions. Keith received his J.D. from New York Law School, and a B.A. from Bernard M. Baruch College (CUNY).